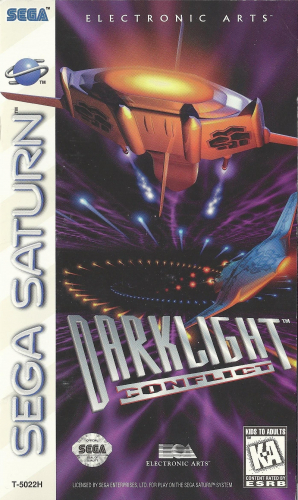 DARKLIGHT CONFLICT casts you in the role of the best fighter pilot on Earth, who is suddenly abducted by aliens. They want you to fly a space fighter and help them defeat their enemies; however, there is more to this than meets the eye. Take control of a fighter, bomber, and gunship as you use guns, missiles, and bombs to blast the bad guys into the vacuum of space in over 50 action-packed missions. If dealing with a plot is not your style of gaming, play the Arcade mode where you will face wave after wave of enemy ships. See how long you can survive while enjoying the brilliant graphics. Are the aliens that abducted you just peaceful space citizens or are they something more sinister? Play DARKLIGHT CONFLICT and the truth will be revealed.